Mr. Fadhili Josiah Manongi was appointed a Member of Board of Directors of the Energy and Water Utilities Regulatory Authority (EWURA) in May 2018. He is the Managing Director at CDE Consulting Ltd specializing in strategic planning and management, performance management and evaluation, Programme/Project management, business analysis and valuation, economic/financial analysis and change management. He has worked as a business advisor, planner, economist, marketing specialist for number of years; and has consulted in a wider scope in various sectors. He has more than 34 years working experience in financial analysis, change management and modern regulatory practices in the sectors of energy, communication and transport as well as policy making. He was previously involved in a variety of consulting assignments in the areas of strategic planning, business operations and analytics, market research and financial viability. He has had nine years in in the aviation industry where he provided strategic leadership and guidance promoting and protecting effective competition in service provision. 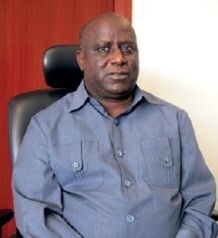 He has served as the Director General of Tanzania Civil Aviation Authority (TCAA) between October 2010 and May 2014. He holds Master of Arts in Development Economics from Williams College, Massachusetts, USA (1983); and Post Graduate Diploma in Integrated Surveys for Regional Planning from Enschede, Netherlands (1981). He also holds a Bachelor of Arts (Hons.) in Economics, from University of Dar es Salaam (1997). Has attended various professional training and conferences on water, energy, transport and communications regulation, planning and management processes and marketing; and presented papers at some of these international conferences.